Want to learn some new ways to search the library catalog and get better results? This blog post provides some tips and tricks to help you. You can use wildcards characters to replace one or more characters when searching the library catalog. Please note that these characters are not valid as wildcards when they are the first character in your search term. For a single character wildcard search, use the ? (question mark) symbol. For example, type authori?e to find both the American (authorize) and British (authorize) spellings. For a multiple character wildcard search, use the * (asterisk) symbol. For example, type cell* for cellular, cells, etc. Using the * (asterisk) symbol as the first character in your search term indicates that the search term is important. For example, baseball *Boston. To locate a search term that is essential, type a + (plus sign) in front of the word. For example, +lung +cancer. Tip: It is best to use a wildcard search term with other search terms so you do not get too many search results. A dia critic is a symbol that is attached to a letter and is used to indicate an alternative pronunciation for the letter. 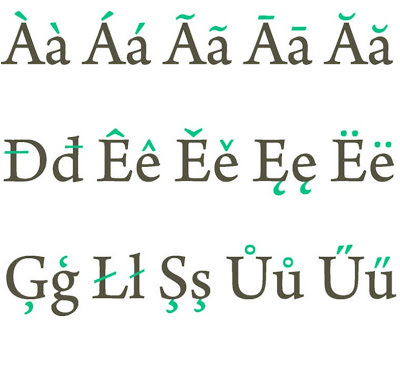 Some examples of diacritics are accents (continuación), cedillas (François), and umlauts (Brontë). If your search term has a diacritic, you can either include or not include the diacritic in your search term. Tip: If you do not get the proper search results using a diacritic, type the search term without the diacritics. Our library catalog like many computer systems looks for characters in ASCII format. If you copy and paste a search term from a document or Web page, the search term may contain non-ASCII characters and then the term may not appear in your search results. For characters such as diacritics, commas, apostrophes, and quotes, try deleting these types of characters and retype them directly in the search box. Here are a few ways to celebrate Native American Heritage Month. View a documentary about the contemporary experiences or history of Native Americans available via Healey Library streaming video databases. Read a book about Native American history or literature. Green, Thomas A., ed. Stories from the American Mosaic: Native American Folktales. Santa Barbara: ABC-CLIO, 2008. ProQuest ebrary. Web. 13 November 2015. Treuer, David. Native American Fiction: A User’s Manual. Saint Paul: Graywolf Press, 2006. Print. 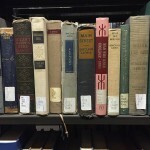 The Healey Library offers thousands of print books, e-books, DVDs, and streaming media on a wide variety of subjects. Searching the library catalog can help you locate these items. 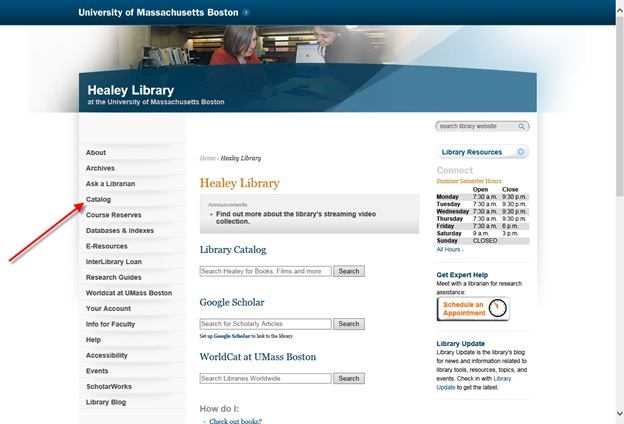 To access the library catalog, begin at the Library Home page at: http://www.umb.edu/library. Then click the Catalog link on the left side of the library web page.